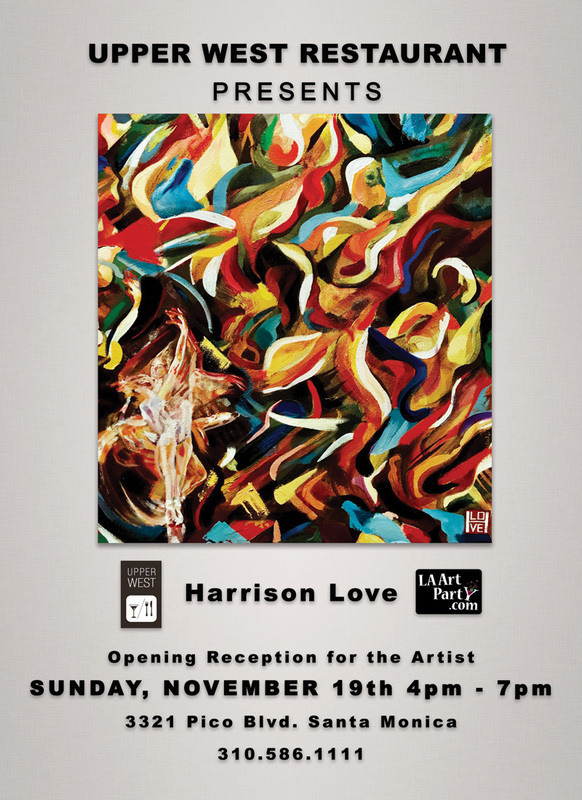 KTR Promotions in Venice Beach & Los Angeles California: Harrison Love Featured at the Upper West November 19th, 2017! Harrison Love Featured at the Upper West November 19th, 2017! 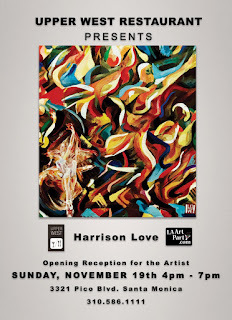 On Sunday, November 19, 2017...Santa Monica restaurant, the Upper West celebrates the art of Harrison Love. The opening reception for his solo exhibition will take place from 4- 7pm. Love will exhibit approximately sixteen paintings. The exhibition will feature works from two series. His Calligraffiti series offers a combination of traditional calligraphy and ‪American graffiti styles. His other series includes original illustrations from his upcoming book, The Hidden Way, which is a fiction inspired by Amazonian Myths and Folklore, generated from his own personal research into Amazonian Tribal Cultures. A graduate of The Rhode Island School of Design, Harrison Love, is a painter and author of illustrated books. Born in New York but having spent his childhood in Brussels Belgium; Harrison started his arts education early in European schools as well as under the tutelage of his family; who are all artists. Love is a well-traveled person. As a young adult he lived and worked in New York, Tokyo, Shanghai, Singapore, Peru, Colombia, San Francisco and Los Angeles. Harrison has created murals for Google, The City of Detroit, and for The Scholastic Art and Writing Awards. His work has been shown around the world and a good portion of his art is currently in the collection of The San Francisco Museum of Modern Art Artist's Gallery. He currently works out of his studio at the Brewery Arts Complex in downtown Los Angeles.